The computer memory is the place where all the work goes on in the machine. Also know as RAM (Random Access Memory) this is the working store where all the information is fetched from and returned to when being worked on by the processor. Memory chips are constantly changing so as well as supplying the most up to date computer memory Microbite will also find and supply memory for just about any kind or age of computer whether it be server, workstation or other device. In addition to common RAM Microbite can supply many other types of storage chips including RoHS such as ROM, PROM, EPROM, EEROM, EAROM plus any other mnemonic one might think up. 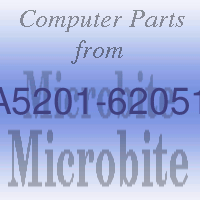 If you have the part number Microbite can supply or find for you an exact match for the memory in your system. 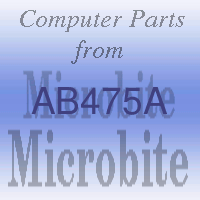 Type the part number into the search box at the top of the page. With international sources of computer parts of all descriptions we have access to large stocks of computer chips even for obsolete models and systems.